Adventuring often has more to do with your attitude than your physical location. I have had some great adventures in my own “backyard” this month that I never would have stumbled upon with the wrong attitude. When you love what you do, it stops feeling so much like “work.” I love my day job, my freelance projects, and side gigs. Unless I’m out of town, I generally work every day, but it’s not as tedious as my work has been in the past. I enjoy it! It’s okay to take breaks (just don’t waste them). After some minor injuries, I was unable to play soccer or practice yoga. I’ve learned to listen to my body and knew I needed rest. But I didn’t wallow in self pity (or at least tried not to) and used that time off to pursue other projects. 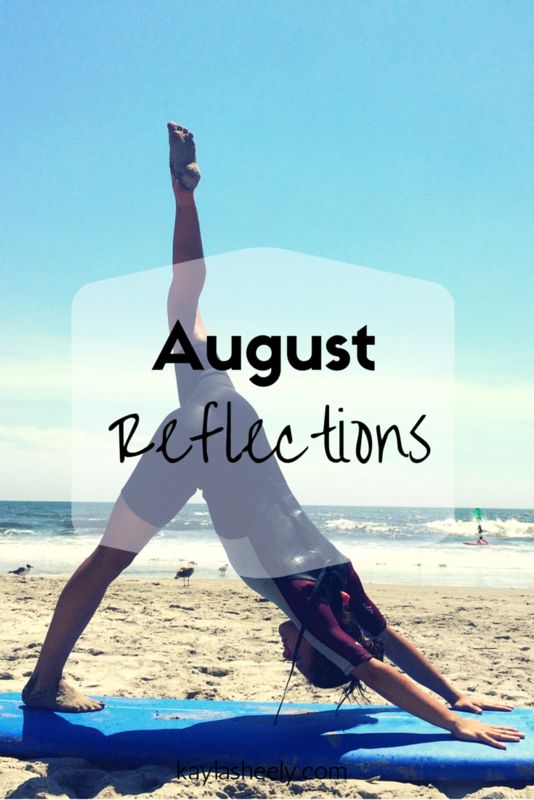 What did August teach you? I’d love to hear how you are growing!